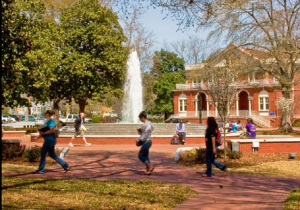 GREENVILLE, N.C. — A public university in North Carolina has reversed a professor’s ban on thanking God during the chemistry department’s recognition ceremony. Eli Hvastkovs, an assistant professor at East Carolina University (ECU), sent an email to chemistry senior earlier this month outlining the guidelines surrounding personal statements at the departmental graduation ceremony. The statements were to be read aloud by others at the university during the event. “Just a reminder to everyone that if you are planning on being at the graduation ceremony, you can provide me with a personal statement that thanks someone or tells us your future plans. I’ve had some submissions that needed to be edited, so here are some guidelines,” he wrote. However, the matter soon made headlines as some students were upset, provoking ECU Provost Dr. Marilyn Sheerer to send a follow-up email overturning Hvastkovs’ instructions. She said that the Hvastkov’s email was not authorized by the university and was incorrect. He said that he regrets the way that he worded the email, and noted that he is not an atheist. As previously reported, the mention of God at graduation has been a frequent point of contention at ceremonies nationwide. Last year, Roy Costner IV drew loud applause and cheers when he surprised attendees of the Liberty High School graduation at Clemson’s Littlejohn Colliseum following the school district’s decision to no longer include prayer at graduation ceremonies.